Disgraced US football official Chuck Blazer has died at the age of 72, his lawyers say. Blazer, who was banned from all football activities for life in 2015, had been suffering from cancer. In 2013 he pleaded guilty to bribery, money laundering and tax evasion but agreed to help investigators expose corruption in Fifa. A larger-than-life character, he was ex-boss of Concacaf, North and Central American football's governing body. His information led to charges against 14 other current or former Fifa officials, and contributed to the downfall of Sepp Blatter, the organisation's president. 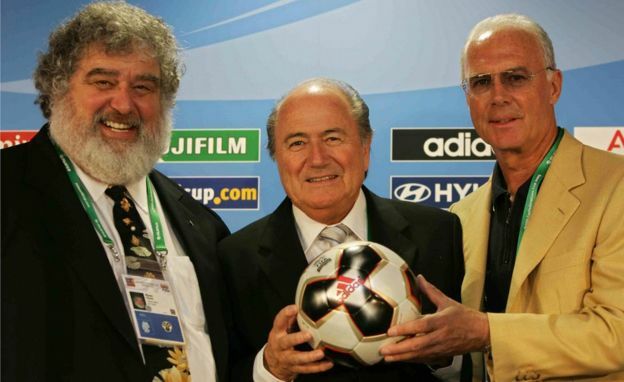 "We are truly saddened by the passing of our client and friend, Chuck Blazer," his lawyers said in a statement. "His misconduct, for which he accepted full responsibility, should not obscure Chuck's positive impact on international soccer." The official served on Fifa's executive committee from 1997-2013, during which time he pocketed millions to fund a globe-trotting VIP lifestyle. A 2013 report by Concacaf's integrity committee said he had received more than $20.6m (£16m) in commissions, fees and rental payments from the organisation between 1996 and 2011. His personal excesses included two apartments in New York's Trump Tower, one of which was exclusively for his cats. 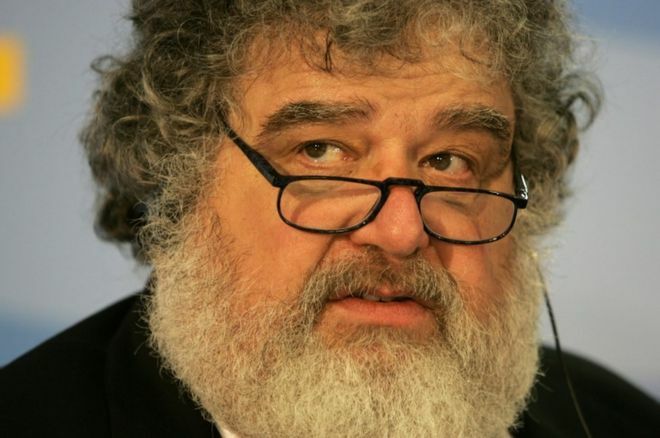 Chuck Blazer leaves behind a complex legacy to football. He helped develop the game in the US and then across his confederation. But he also personally enriched himself and was emblematic of the greed and corruption that festered within world football for many years. However, it was his evidence that was instrumental in the arrest and prosecution of scores of Fifa and marketing executives, a process that became publicly known with dramatic dawn raids in Zurich in 2015 and is still continuing. In his blog Travels with Chuck Blazer and his Friends..., he was pictured enjoying time with football legends like Pele and Bobby Charlton, and other high-profile names like Prince William and Hillary Clinton. He also introduced readers to his pet parrot, a blue-and-gold macaw named Max Blazer, even uploading a video of the bird dancing on the basket of his mobility scooter in New York's Central Park.